It was the final speech of a long day, August 28, 1963, when hundreds of thousands gathered on the Mall for the March on Washington for Jobs and Freedom. In a resounding cadence, Martin Luther King Jr. lifted the crowd when he told of his dream that all Americans would join together to realize the founding ideal of equality. The power of the speech created an enduring symbol of the march and the larger civil rights movement. King’s speech still inspires us fifty years later, but its very power has also narrowed our understanding of the march. 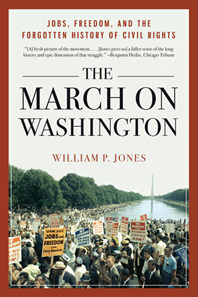 In this insightful history, William P. Jones restores the march to its full significance. The opening speech of the day was delivered by the leader of the march, the great trade unionist A. Philip Randolph, who first called for a march on Washington in 1941 to press for equal opportunity in employment and the armed forces. To the crowd that stretched more than a mile before him, Randolph called for an end to segregation and a living wage for every American. Equal access to accommodations and services would mean little to people, white and black, who could not afford them. Randolph’s egalitarian vision of economic and social citizenship is the strong thread running through the full history of the March on Washington Movement. It was a movement of sustained grassroots organizing, linked locally to women’s groups, unions, and churches across the country. 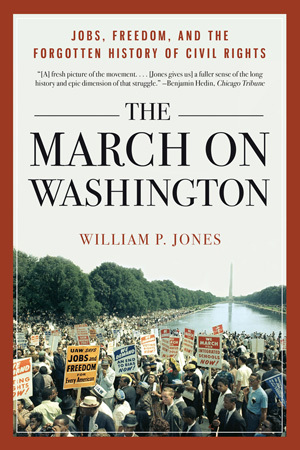 Jones’s fresh, compelling history delivers a new understanding of this emblematic event and the broader civil rights movement it propelled.